Research firm Interpret has released its Free-to-Play Gaming in Brazil report, which states the genre has grown on to 17.2 million players. Of the 51.5 million gamers between the ages of 13 and 65, the F2P market is up 20% year-over-year due to rising PC ownership and better broadband availability. 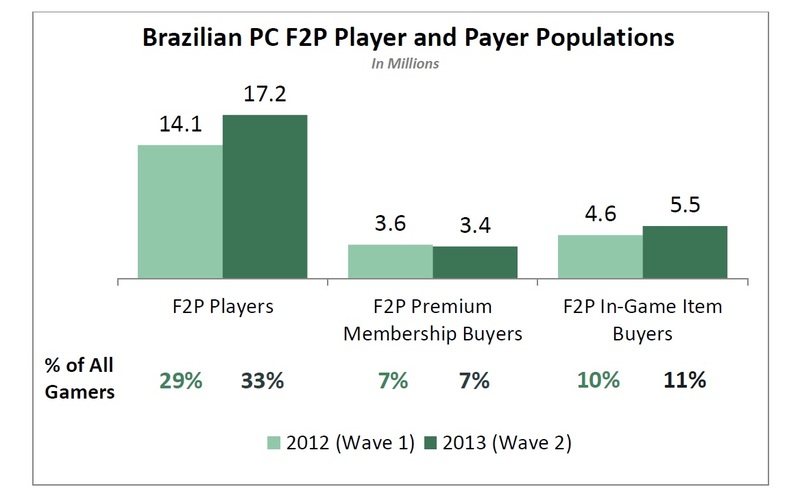 Full year, the Brazilian PC F2P market brought in $470 million mostly through in-game purchases. Thanks, GI International. A chart is below.